We are already hard at work planning our next Virginia Library Association (VLA) conferences! While we are still hammering out the exciting details, you can already save the dates! 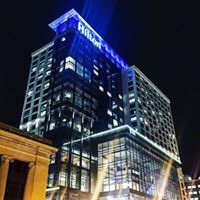 The 2019 VLA Conference will return to the The Main in Norfolk, Virginia. The 2020 VLA Annual Conference will be held at the ever popular Omni Homestead Resort located in beautiful Hot Springs, Virginia. The 2018 VLA Professional Associates Conference will be held once again at the Newport News Marriott at City Center in Newport News, Virginia. Visit the Event Calendar to stay up-to-date on all the events the Virginia Library Association is planning.